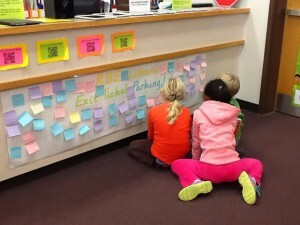 The RBE Library now has an Exit Ticket Parking Lot! One of the things I am so excited about this year in the number of grade level collaborations the library is doing with teachers and the curriculum! I love that when kids come to the library with their class, the learning that we are doing together with their teacher is purposeful and connecting to the TEKS and the curriculum! Plus, we get to have so much fun while we learn! 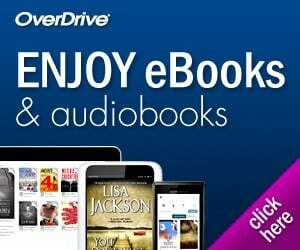 One of the things I want to communicate to students, parents, and teachers is that our activities in the library are an enriching extension of the classroom learning. 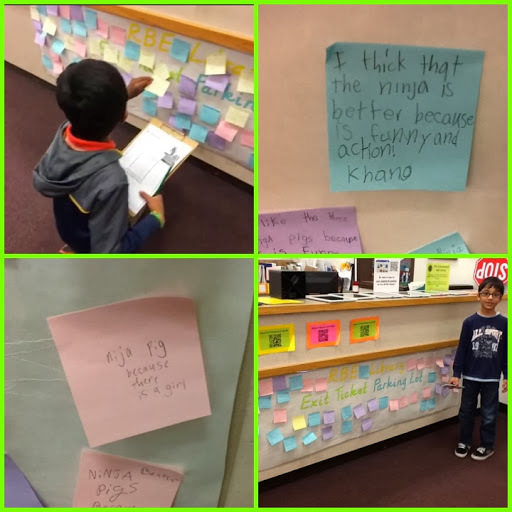 So, I decided to start doing Exit Tickets with students as they finish their activities in the library as a formative assessment or reflection of their learning that day. I am going to strive for questions on the Exit Tickets that will allow the students to think deeply about what they learned, reflect on their learning, or get into the upper levels of Bloom’s Taxonomy. After students complete their Exit Tickets, they will place them in the Exit Ticket Parking Lot. After the whole grade level has added their Exit Tickets, I will leave them up until the next activity. I will them remove them and collect a variety of responses to post on butcher paper with the question. These posters will hang in the hall outside the library for students, teachers, staff, and parents to see. The learning students do in the library will be available for all to see! We use the Fundamental Five in our district and the exit ticket is a good way to get in our critical writing in the library. I love the idea of putting it outside the library so that others can see the connections between the classroom and library! Thanks for your comment Shawna! I am still figuring out the details of posting the Exit Tickets outside the library, but I will post pics when I get them up.